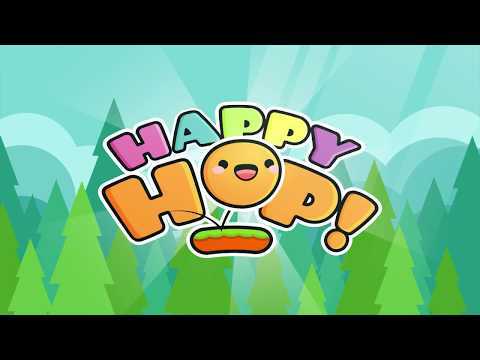 Happy Hop is an original endless hopper, very easy to play but at the same time very challenging!In Happy Hop you’ll have to tap left or right to get to the next platform before it moves, breaks, or even disappears! On the way you’ll find rare chests and piñatas... see more Happy Hop is an original endless hopper, very easy to play but at the same time very challenging! In Happy Hop you’ll have to tap left or right to get to the next platform before it moves, breaks, or even disappears! On the way you’ll find rare chests and piñatas filled with tons of cute costumes to dress your character and thousands of objects to decorate your house! Looks easy, right? Well, careful! Because this little game can be highly addictive :3 Give it a try and beat your friends&apos; high scores! ⭐ Doodle your way up on your pastel rainbow while collecting hearts, stars & piñatas! ⭐ Miimoland! A secret world where you’ll get your cute toys by opening a surprise egg! ⭐ Achievements and leaderboards are integrated with Google Play Games. ⭐ Special monthly offers, virtual pets and gifts will be added with holidays updates: St. Patrick, Easter, Summer, New Year and other limited time events! ⭐ Offline game: No internet connection needed. Download the cutest game in the history of ever. Once you Hop, the fun don&apos;t stop!